This market is already doing big business, and it’s growing quickly. Tours and activities are an estimated $38 billion industry in the U.S., and $150 billion globally—the third largest sector in the travel industry, only behind flights and hotels, and more than double cruise and car rental combined. And now, some of the biggest names in online travel and search are making it a priority to give customers easy ways to book these experiences, as well as find information about them. Aerial adventure parks and zip tours products are on the radar, but it’s up to operators to leverage this opportunity. TripAdvisor has been integrating leading vendor Viator’s bookable tours and activities onto its site since acquiring the booking platform in 2014 for $200 million. Expedia, the world’s largest travel agency, transitioned its Local Expert division onto its mobile app alongside its other travel products in 2015. This is a tremendous resource to sell adventure park tickets and options. Booking.com launched Booking Experiences in 2016 so travelers can instantly book and pay for attractions using its app. Airbnb launched its new Trips platform in 2016, putting bookable experiences led by local host experts at the center of its offering. This is all exciting news, especially for the burgeoning aerial adventure segment. These activities are still new, and offer a different experience than most other attractions. However, capitalizing on these opportunities doesn’t happen overnight, and it requires some effort to execute effectively. The payoff, of course, is well worth it. 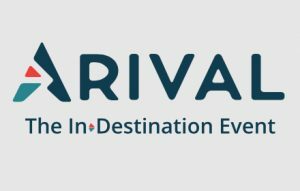 The place to learn about all of this, and much, much more, is at Arival: The In-Destination Event. Arival is completely dedicated to the tours, activities, attractions, and experiences industry, and is the first conference of its kind. It will help operators grow their business and provide a first look at what’s on the horizon. This is the inaugural year of the event, but its organizers are veterans of the field. They have been hosting the Mountain Travel Symposium, a similarly marketing-oriented conference for the destination travel industry, for decades. 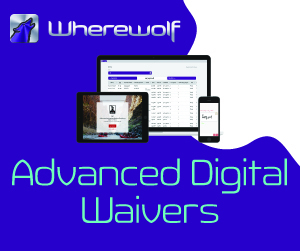 Arival will benefit from that experience—and in fact, that experience demonstrated the need for an event like Arival. Arival is taking place Oct. 11-13, 2017, in Las Vegas, Nev. For complete information and to register, visit: www.arivalevent.com. This content is courtesy of Arival: The In-Destination Event. Dave Meeker is the senior editor for Adventure Park Insider. He has a background in marketing, public relations, and writing in the mountain resort industry. Before joining the team at API, Dave was the marketing director for Mount Snow in Vermont. What better way to try and conquer a slight fear of heights than to work at a magazine that covers adventure parks? He couldn't think of one.